Lindsay Mitchell: Is the hysteria about inequality overblown? 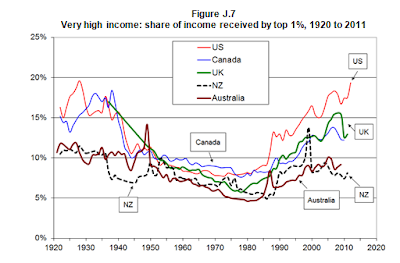 The New Zealand top 1% are just bone lazy, grabbing the same share of income as they had 50 years ago. Their income fell during the years of stagnation in the 1970s but recovered again when the economy started growing again in the 1990s. 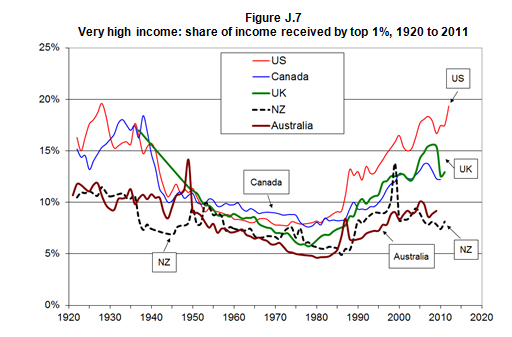 Just goes to show what any decent macroeconomist knows: NZ needs more "inequality", not less.